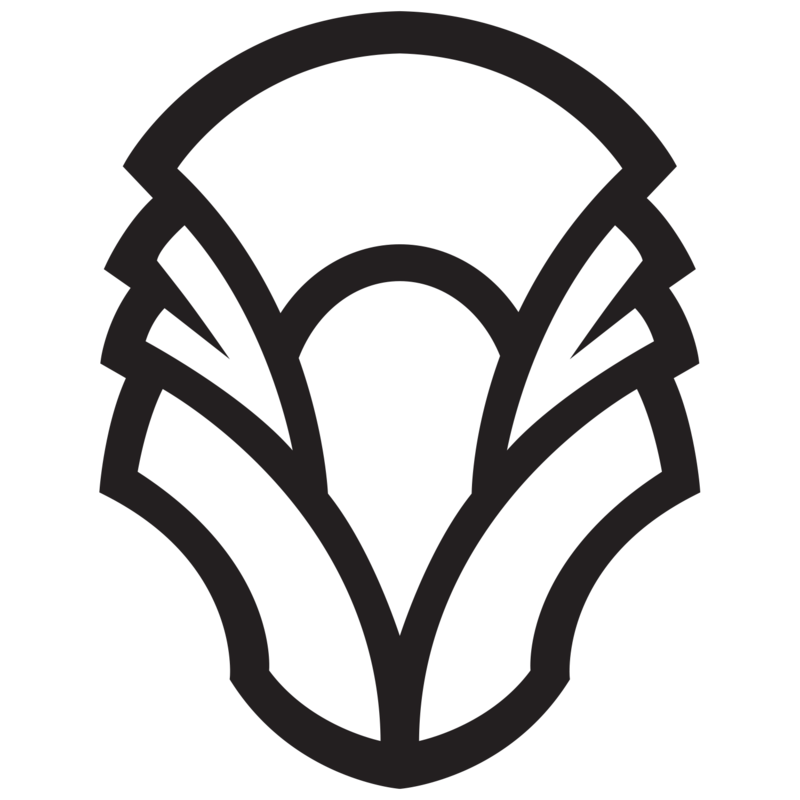 History of BenaliaHistory of Benalia is a three mana Saga. It produces two power on the first turn you play it. Then, when you reach Chapter II of the Saga, it produces an additional two power. Consequently — and not to be too obvious — but that is four power across multiple bodies for three total mana. 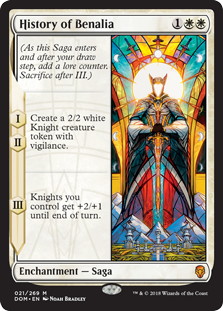 Thanks to Chapter III’s “Knights you control get +2/+1 until end of turn[,]” with only the two Knights, you can attack for eight on the card’s third turn in play! 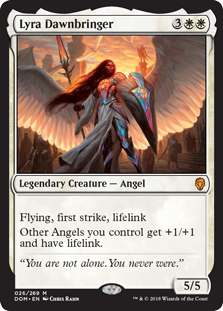 Because of this, History of Benalia can both burst forward offensively and slow the opponent down with multiple blockers defensively. Lingering SoulsLingering Souls is a card of extraordinary power. 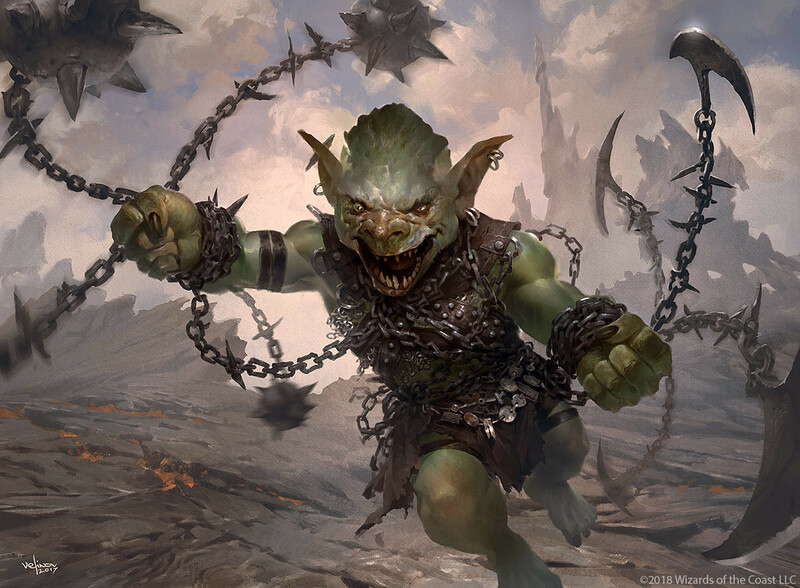 It was banned in its original Block Constructed format, and has contributed to any number of decks across multiple formats. Not Block of course, but other formats. Jon Finkel played it to his umpteenth Pro Tour Top 8 in an Esper Delver deck. It has contributed to everything from a white splash in Jund to a colorful wink in Eldrazi Modern decks. Certainly, Lingering Souls has some considerable upside relative to History of Benalia. You get more bodies. Those bodies in fact fly. 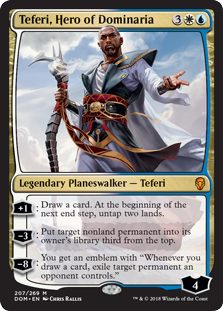 You can get all four on on turn if you have five mana available… But that’s the crux of it; with History of Benalia, you never need to pay the additional two mana! 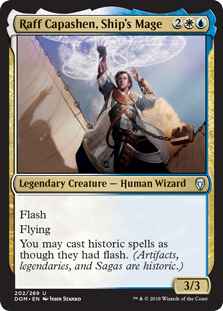 Raff Capashen, Ship’s MageRaff Capashen, Ship’s Mage really likes Historic cards. “Saga” is a Historic type; consequently, Raff likes History of Benalia. One of the many synergies that you can exploit thanks to Dominaria‘s heavily Historic themes is to play History of Benalia during times that you couldn’t normally play an enchantment or other sorcery-speed card (e.g. Lingering Souls).